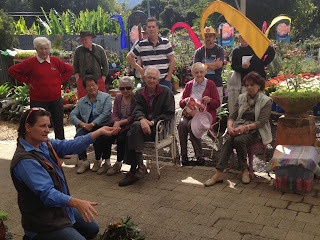 We had a wonderful, sunny, winters day for the Launch of the Spring Garden Competition at Total Gardens. The venue looked a treat, and was only enhanced by the smell of BBQ sausages and onions, and the sound of Barry and Mick, a local Irish Band. There was a good roll up of members, each of whom took an active part in promoting the Spring Garden Competition in one way or other. On the fund raising front, Peter, Jim and Carol looked after the BBQ, whilst Trish and Margaret looked after the raffle. Jane and Pat handed out information packs to Total Gardens customers, and we all participated in engaging people, and promoting the competition. Frank Saltau from the Coffs Harbour City Council officially launched the Spring Garden Competition, and our patron and host for the day, Julie Worland organised demonstrations of succulents and soil improvement. 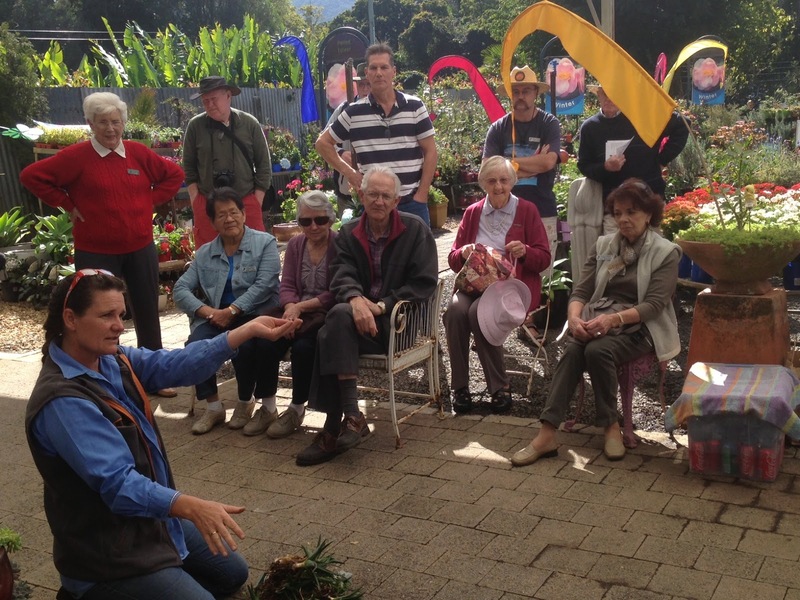 Most Garden Club Members took advantage of the discounted sale items that Julie had organised for the day. Gifts were presented to our guest speakers, musicians and host. Total Gardens provided a Lucky Door Prize Voucher for $50, which was fittingly won by one of the musicians. All in all it was a successful and enjoyable day. And it’s only fair that we express our heartfelt thanks to Total Gardens for making the day possible. Julie doing what she does best - talk about plants!